Since its inception over 100 years ago, Po Lin Monastery has after the founding Buddhist teachers elected eight abbots. Together they have committed continuous and unshaken efforts in establishing the monastic order, and in practicing, teaching and spreading Buddhist Dharma, to progressively develop the monastery from a humble and primordial foundation of a small stone hut and a thatched hut to become a renowned and respected monastery today, embracing traditional and contemporary Buddhist culture, landscape gardening and sculptural arts. A brief description of the founding Buddhist teachers and the abbots and their contributions is set out below. In 1906, Venerable Da Yue, Dun Xiu and Yue Ming, three Buddhist monks of the Ch 'an School, travelled from Jiangsu province of China to Lantau Island of Hong Kong. They were delighted to find an expansive flat land amidst the tranquil mountains. 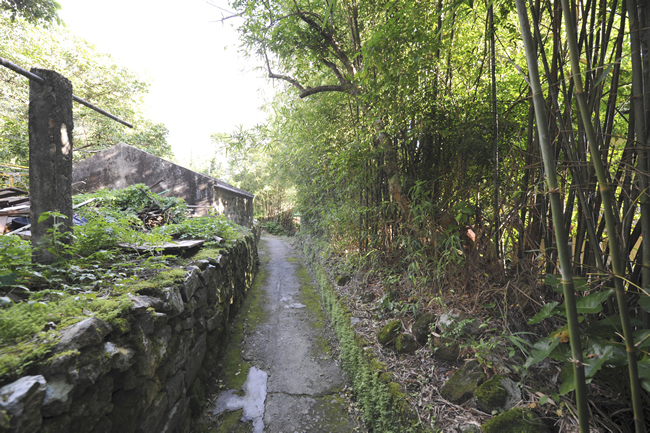 Although the place was overgrown with thorn bushes and access to it was difficult, they found it a place of serenity, ideal for religious practice and spreading Dharma. To start with, they cleared the bushes and built a small stone house. Monks from all directions were attracted by the tranquillity and serenity of the place. Many came and practiced here. Later on, they pulled together to built a big thatched hut and grew crops for food while diligently pursuing along the path of enlightenment. 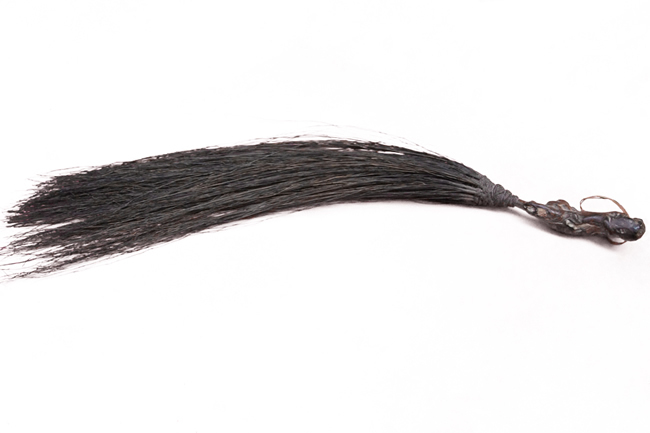 A primordial Buddhist discipline of the Ch 'an School was thus established in Hong Kong. This piece of flat land was later named Ngong Ping, meaning a flat high land. In 1924, Venerable Ji Xiu, came to Hong Kong from the Jiangtian Monastery. 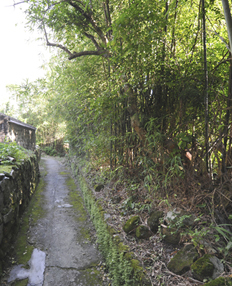 At the earnest request of Venerables Da Yue, Dun Xiu and Yue Ming and the members of the monastic order, Venerable Ji Xiu assumed abbotship, renamed the ‘Big Thatched Hut ' to Po Lin Monastery and became the monastery 's first Abbot. Venerables Da Yue, Dun Xiu and Yue Ming were revered as the monastery 's founding teachers. In Hong Kong Buddhism 's contemporary history, Venerables Da Yue, Dun Xiu and Yue Ming have the unique position of bringing over to Hong Kong the monastery system of Jiangsu and Zhejiang provinces, establishing the model of "Farming and Ch 'an", pioneering the development of contemporary Buddhism system in Hong Kong. 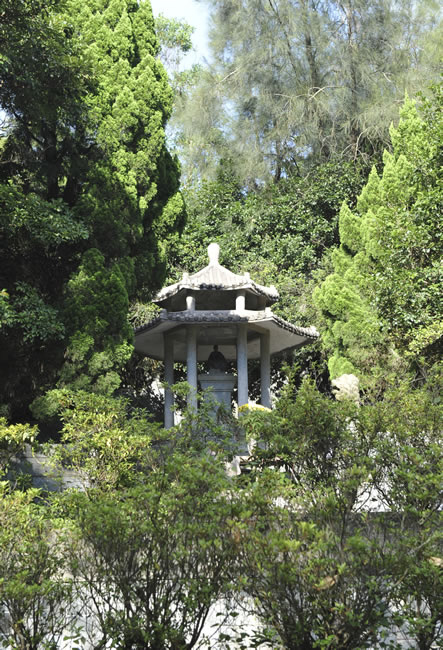 The Buddhist order of Hong Kong has since developed and flourished. Po Lin Monastery has marked its unique role in the history of Buddhism development of Hong Kong because of them. 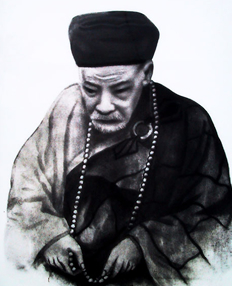 Since elected as the first Abbot of the Po Lin Monastery in 1924, Venerable Ji Xiu devoted his effort in formulating and establishing rules and disciplines for the monastery order, inviting and gathering the wise and virtuous, equipping the monastery with implements and vessels for ceremonies, whilst at the same time cultivating and turning the surrounding hill slopes to arable land. Efforts were made towards both farming and practicing Buddhist teachings. Monks coming from all directions began to increase significantly. To accommodate this, a wooden hut was expanded to become the Meditation Hall for the monastery order 's daily meditation and practice. All Buddhist procedures, rules and disciplines for the monastery were modelled on those of Jiangtian Monastery at Jinshan. Since then, the model of "Farming and Ch 'an" began to take root in Hong Kong. Venerable Fat Ho was born on 15 November 1893, his layman family name being Li, of Nanhai county of Guangdong province. He renounced the secular life and became a monk in 1912 at the age of 20. When Venerable Ji Xiu decided to retire in 1930, Venerable Fat Ho was invited to take over the abbotship. Upon handing over, the fund in the monastery 's coffer was only HK$22.40 and there were at the time more than a few dozens monks staying in the monastery. Resources were extremely scarce. Life was difficult. 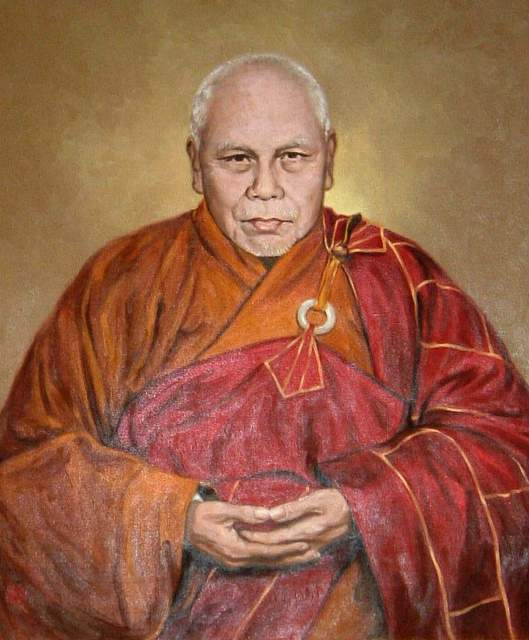 During his tenure of abbotship, Venerable Fat Ho succeeded in raising funds to expand and develop the monastery, building Buddhist halls and chambers. He devoted to leading the monastic order and the laymen in practicing and meditation, and to delivering sermons and talks on Buddha 's teachings. He also followed the tradition of conducting ordination ceremonies once every three years, selecting worthy and virtuous candidates to the Buddhist order. Venerable Fat Ho 's unshaken commitment in developing and building the monastery, in establishing monastery rules and disciplines, as well as in building schools and promoting education for the youths laid a sound and solid foundation for Po Lin Monastery 's development in the many years to come. Venerable Fat Ho published the Lantau Chronicle (The book is available in Chinese only) in 1958, a work of detailed research of Buddhist temples and sites of interest in Lantau Island, recording the lives and acts of virtuous monks and lay practitioners, their writings and their literary works. In 1964, the Venerable changed the traditional monastic management system to a new system, in which all monastic business and matters were to be managed and controlled by a Board of Directors. This change was the springboard for the monastery 's future progressive development. The Venerable attained his perfect rest in April 1972, aged 80, having been ordained for 60 years. His published works included the Discourse on the Heart Sutra and the Discourse on the Ten Wholesome Ways of Action. 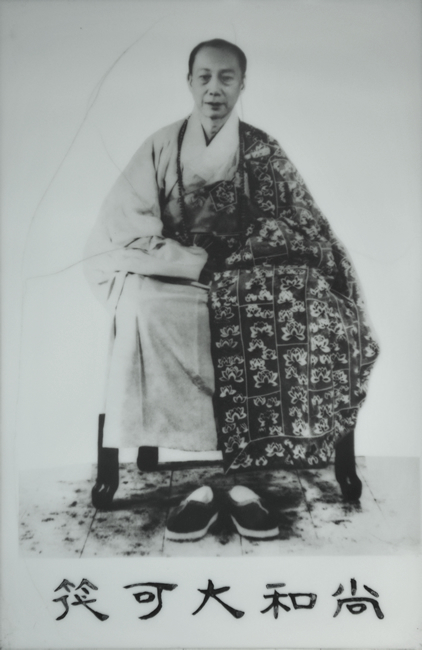 Venerable Tsang Sau was born in 1883 at Kaiping county of Guangdong province to the Huang family. He renounced the secular life and became a monk at the age of 22. 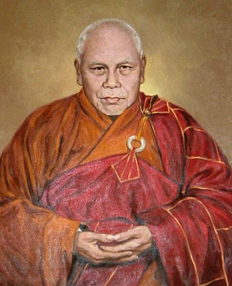 When Venerable Fat Ho, who had by the time assumed abbotship for 23 years, decided to retire in 1952, Venerable Tsang Sau was elected as the third Abbot of the monastery. 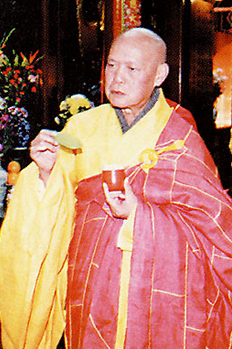 Venerable Tsang Sau attained his perfect rest in January 1975. The Venerable devoted his whole time to teaching and spreading the Buddha 's teachings. He travelled between the Xiangyun Monastery in Zhaoxiang county of Guangdong, Tin Wai Monastery in Tai Po and Po Lin Monastery in Lantau Island of Hong Kong, spreading the Buddha 's teachings, achieving many merits and delivering many sentient beings. 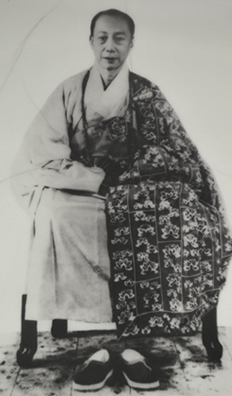 Venerable Wai Ming came from Xinhui county of Quangdong, born to the Zhang family. He was elected as the Fourth Abbot in September 1972. He devoted his effort towards establishing Po Lin Monastery 's communication and relationship with Buddhist orders locally and overseas. Due to historical reasons, the Hong Kong Buddhist order and the Mainland 's had broken their communication tie for over dozens of years. 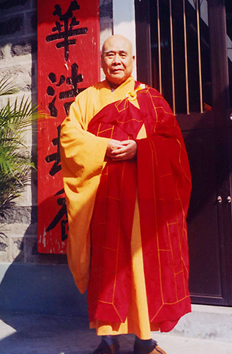 Upon the fall of the Gang of Four, Venerable Wai Ming seized the opportunity to re-establish communication with the Buddhist order in Mainland. 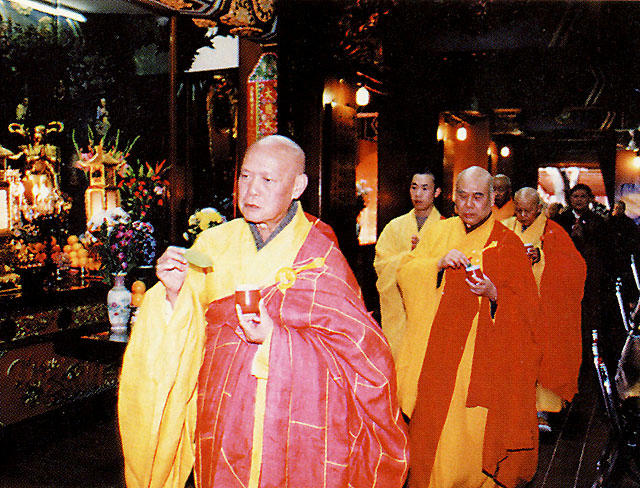 The delegation led by Po Lin Monastery to the Mainland in 1979 was warmly received by the Buddhist Association of China, led by President Zhao Pochu. In return, the Buddhist Association of China, led by President Zhao Pochu, visited Hong Kong in July 1980, for the first time in history. These two visits were regarded as the ice-breaking trips between the Buddhist orders of the two places, ending the communication freeze of 30 years. The effect is extremely significant and far-reaching. 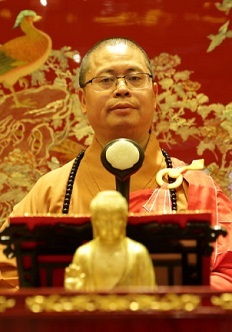 Venerable Wai Ming 's time as the abbot of the monastery coincided with China 's economic revolution and the initiative of new economic policy. The Venerable devoted his effort, with an open mind, towards communication and cooperation with the Mainland 's Buddhist order. His great vision broadened the horizon for the monastery 's development, and opened up the opportunity for the building of the Tian Tan (Altar of Heaven) Big Buddha Statue in Hong Kong. 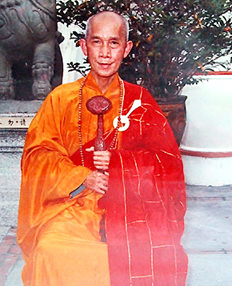 Venerable Sing Yat was born in November 1922, surnamed Chan as a layman. His ancestry was from Xinhui county of Guangdong. He renounced the secular life and became a monk at the age of 19. The Venerable followed the traditional Buddhist order system and practiced and taught piously. He commenced building the Big Buddha Statue. 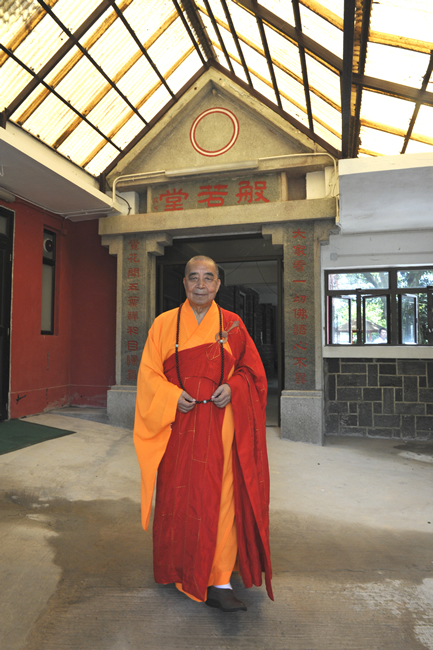 After retirement from Po Lin Monastery, Venerable Sing Yat devotes his effort in the development of Po Lam Monastery in Lantau Island, building halls and chambers, teaching Dharma, establishing rules and disciplines. He would preach and teach in the summer and practice and meditate in the winter. He would go on with the Buddhist routines daily, day and night, in great piety, practicing the precepts and fasting every half month most strictly. At the same time, he plants and farms in the hill slopes, enjoying a peaceful quiet life. He is highly respected. The Venerable attained his perfect rest in August 2010, aged 92, having been ordained for 67 years. Venerable Chor Wai was born in 1921, surnamed Hui as a layman, his ancestry coming from Panyu county of Guangdong. He started his normal schooling at the age of 7 and became a monk at the age of 14 in Po Lin Monastery, ordained by Venerable Fat Ho. 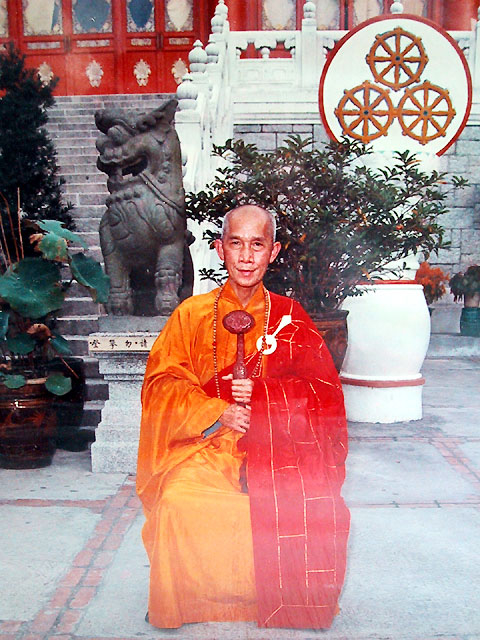 Venerable Chor Wai was elected the Sixth Abbot in 1990 at a time when Hong Kong enjoyed its full economic boom together with the progress and prosper of Mainland 's economy. 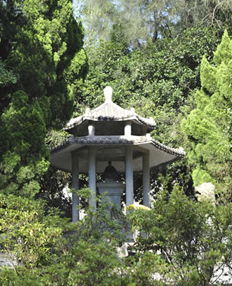 During the period 1991 to 1993, the Venerable led and organised 14 major public sermons in Hong Kong, spreading Buddha 's teachings to people, and benefiting them, who were otherwise entranced in the hustle and bustle of city life and found it difficult or inconvenient to come over to Lantau Island. The Venerable retired from the abbotship in 2005, and since then has been concentrating his efforts in preaching and teaching, travelling between Singapore, Malaysia and Mainland. The Venerable attained his perfect rest in November 2015, aged 94, having been ordained for 76 years. 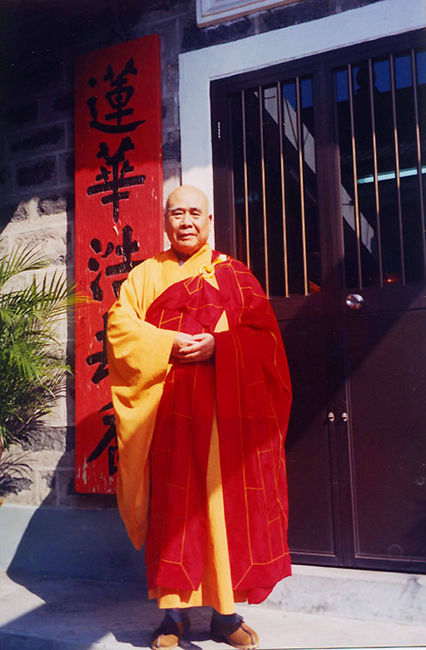 Venerable Chor Wai devoted his whole life to the administrative business of Po Lin Monastery and practicing with great piety and persistence, understanding the true meaning of Buddha 's teachings and of the monastic life. He likes to advise followers to practice the great patience, and to abide with conditioned circumstances and concatenation of causes and effects. 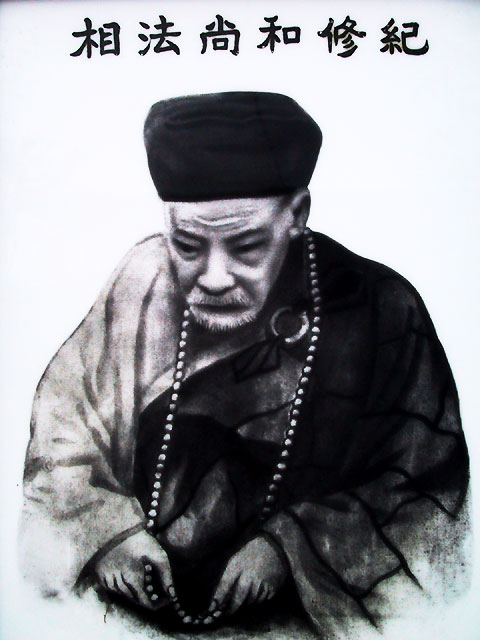 Venerable Chi Wai, his ancestry was from Nanhai county of Guangdong. 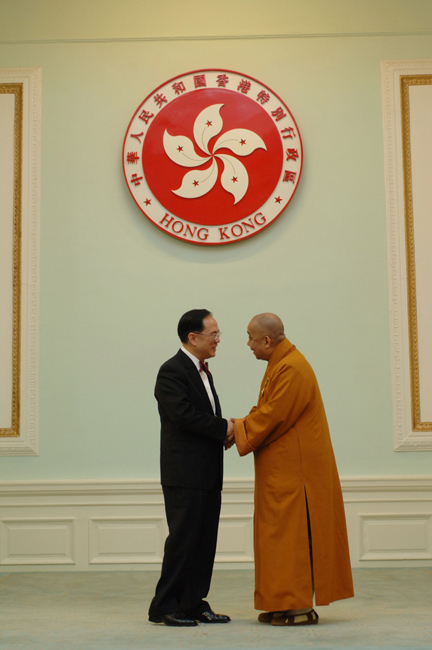 He is the Honorary President of The Hong Kong Buddhist Association, Vice-President of World Buddhist Sangha Council, and Member of the Executive Committee of the Heung Yee Kuk, NT, and Vice-Chairman of Tai O Rural Committee of the Hong Kong SAR. The Venerable came to Hong Kong from Nanhai at the age of 3 and stayed with the Po Lin Monastery. After Hong Kong 's fall to Japan on 8 December 1941 in the Second World War, the Hong and Kowloon Brigade of the East River Fifth Column of the Chinese army made their defense against the Japanese army in Lanlau Island. Po Lin monastery lent its full support towards their cause. The Venerable was the underground volunteer communicator for the brigade, reporting on the movements of the Japanese army. After the Japanese surrender, the Venerable continued to stay with the monastery, doing odd jobs like looking after the cattle, carrying water, and cutting and transporting fire wood. He renounced the secular life and became a monk at the age of 30 in 1963, ordained by Venerable Fat Ho and has been a member of the Board of Directors of the monastery since his appointment in 1966. Venerable Chi Wai coordinated the building work of the new Main Shrine Hall of the monastery in 1964 on behalf of Venerable Fat Ho 's behalf during the time when the Venerable was on sick bed. The Main Shrine Hall was opened in 1970. Under his guidance, the building of Buddhist Fat Ho Memorial College in Tai O, the first secondary school in Lantau Island, commenced in 1976. 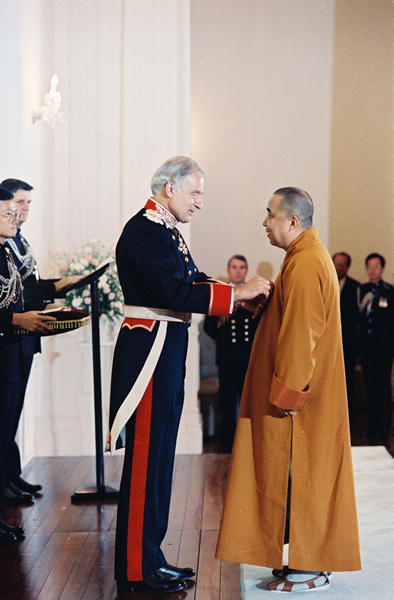 He was the leader of the Hong Kong and Macau Buddhist delegation to Beijing in 1979, which was a significant ice-breaking mission renewing contact and communication between the Buddhist orders of Hong Kong/Macau and Mainland. Preparatory work for the building of the Big Buddha Statue began in 1980. The Venerable was appointed the coordinator of this important project. Upon the full support from all quarters, the Big Buddha Statue was completed and opened for the public in 1993. 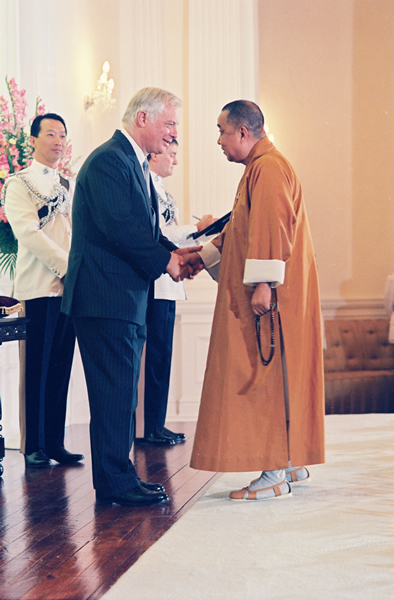 The Venerable was appointed Honorary Adviser to the Hong Kong Buddhist Association in 1983 and was appointed to its Board of Directors in 1991, as the general administrator in 2001 and the Vice-President in 2011. He has been the President of the association since Jan 2015. Through the Liaison Office of the Central People's Government in Hong Kong Special Administrative Region and with the assistance of the Buddhist Association of China, Po Lin Monastery began participating in China 's Project Hope in 1990, building schools to help poor children return to schooling. Since then, with the monastery 's contribution, over 300 schools have been built under the project. The Venerable was elected Representative of the Hong Kong SAR on the 9th National People 's Congress of the People 's Republic of China in 1997, and was re-elected to the 10th National People 's Congress in 2002. He was appointed Member of the Island District Council from 2000 to 2011. Venerable Chi Wai was elected the Seventh Abbot of the monastery in 2005 in the 100th Anniversary Memorial Service Ceremony of the monastery, upon the approval of Venerable Chor Wai, the retiring Abbot and the nomination of all executive members of the monastic order. The Venerable was awarded Badge of Honour (BH) for Community Service in 1990 and Member of the Order of the British Empire (MBE) in 1996 by the former Hong Kong Government. He was awarded the Bronze Bauhinia Star (BBS) by the Hong Kong SAR Government in 2005, as the first one in the monistic order being awarded this special honour. He was awarded the Silver Bauhinia Star (SBS) in 2015. In 2012, Mahachulalongkornrajavidyalaya University of Thailand conferred the Honorary Doctorate Degree of Ph.D. (honoris causa) on Venerable Chi Wai in recognition of his merits and excellence in Buddhist studies. Ven. 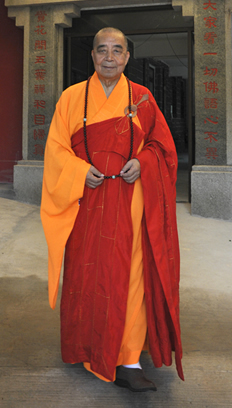 Jing Yin, the incumbent Abbot of the monastery, the former director of Buddhist Research Center of University of Hong Kong, current professor and doctoral supervisor of Nanjing University, director of Centre of Buddhist Studies of Chu Hai College of Higher Education, the executive director of the Institute of Buddhist Culture of China, honorary director of the Buddhist Association of China, expert of Hong Kong Council for Accreditation of Academic and Vocational Qualifications. He has published the books of The Guidance and Exegesis of the Sutra of Sixth Patriarch, The Guidance and Exegesis of the Diamond Sutra and Heart Sutra, The Guidance and Exegesis of the Three Sutras of the Pure-Land School, etc., has published several research papers in PLoS One, Soc Cogn Affect Neurosci and so on, and more than 200 various papers in different academic journals.